Felt is a non-woven fabric that is made by layering raw natural fibres in parallel directions and basically, massaging them to fuse with water, soap and rolling. The possibilities are endless and you can combine a variety of processes. While wool is the most common natural fibre used, other exotic fibres and plant fibres can also be included for specific uses. There are different types of felt making: needle felting, wet felting and nuno felting. You can also see the different methods incorporated into pieces. Needle felting is an exception to traditional felting and has been quite popular. Felting needles (which are extremely sharp and have barbs along the shaft) does not follow the same process as traditional felt making. You literally work the fibres together by “needling/jabbing” the fibres into each other to fuse them. 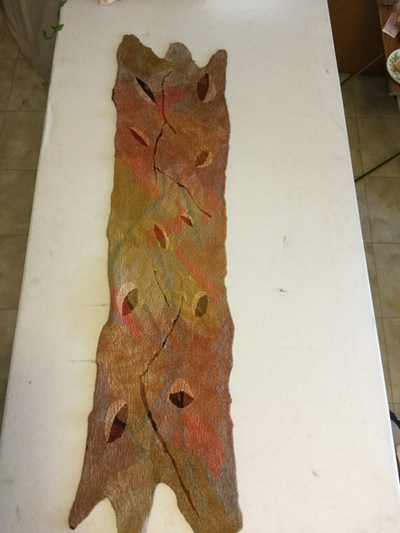 This is wonderful for sculptural pieces, wall hanging and ornamental work. Wet felting is literally wetting layers of fibres, wetting and lots of rolling. 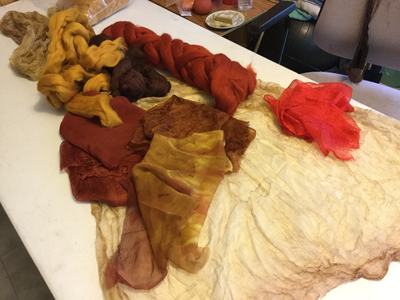 While wet felting can be used in garments using finer fibres, it is also wonderful to create strong objects such as purses, hats, rugs and a countless number of other applications. Nuno felting is combining wet felting with fine fabrics such as silks, linens and countless other organic fabrics. This results in a thinner, light weight and structurally sound finished piece. This is my preferred method and I am constantly learning new processes and applications to continue expanding my designs and my language of felt. 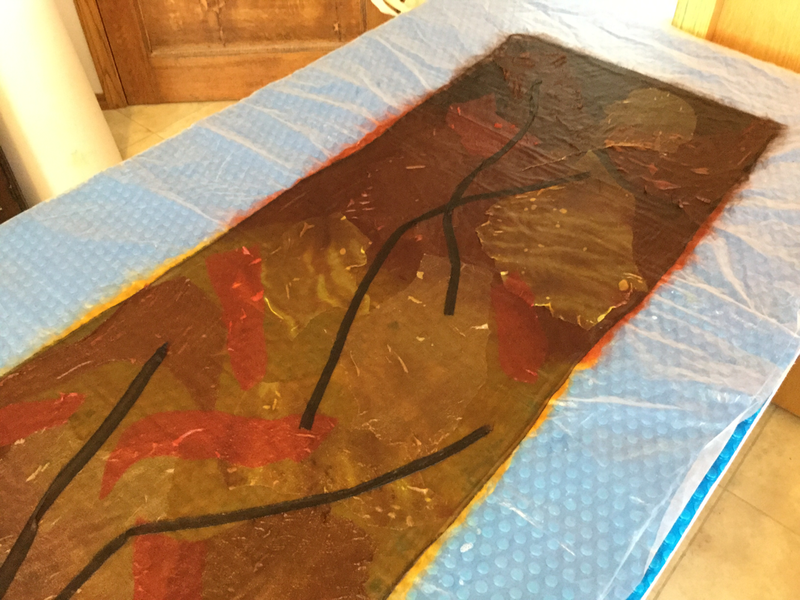 I only use top grade materials - with the time commitment in creating my pieces, I feel it is important to use materials which will result in a high quality, long wearing product. 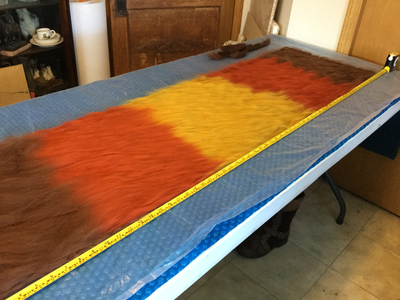 Next is the layout of fibre in fine layers, this will be covered with fine silk. 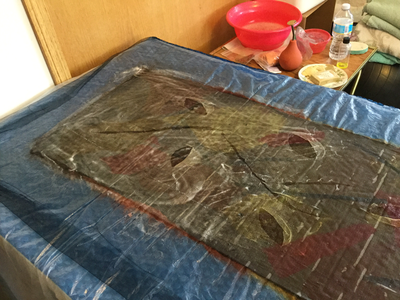 Finally the silk is layered on top and the process begins. I then add depth with textural elements. felt::feutre canada - this is a Canadian organization that provides so much information, opportunities and training for anyone interested in learning the process of making felt. Saskatchewan Craft Council - so supportive of our province’s crafts people. A wonderful spectrum of professional artists with Saskatchewan and a great place to look for training for crafters, quality handmade products for anyone interested in shopping for a special piece! My own Etsy Shop, I am currently building my inventory so more to come!